Ultron Systems' Model UH114 & UH115 Series Mounters set the benchmark for both control and versatility. 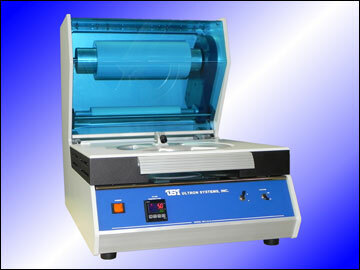 For dicing/sawing applications, uniform adhesive plastic film lamination is paramount. Our mounters feature an easily adjustable spring-loaded roller assembly, along with film-tensioner bars along both the x- and y-axes to ensure bubble-free lamination of the film to the wafer and film frame. 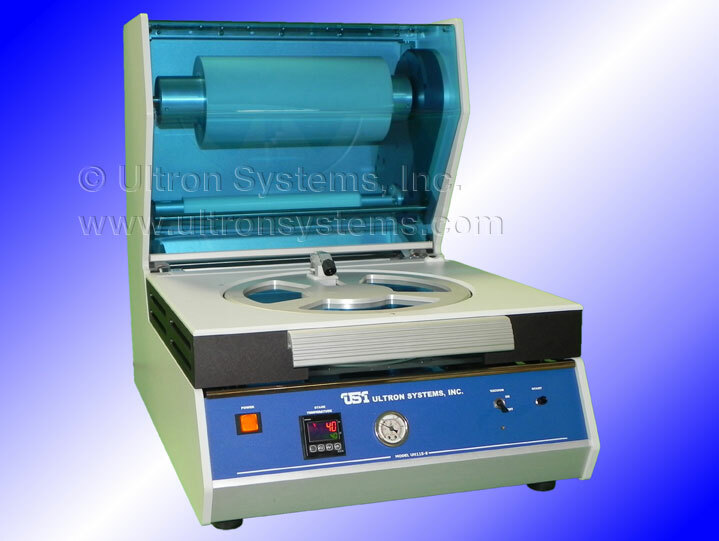 In addition, both models feature a retractable film cutting system with adjustable cutting pressure to accommodate various tape base materials and thicknesses. Roller pressure is adjusted from the topside of the units for different process requirements and to accommodate various wafer thicknesses. A digital temperature controller ensures consistent workstage temperatures for repeatable mounting. 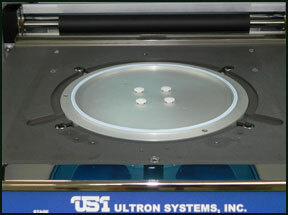 Adjustable alignment pins and vacuum cups accommodate almost any type of film frame, including plastic. The workstage height is also adjustable relative to the frame height for different wafer thicknesses. Using our Mounters, operator variables are virtually eliminated. 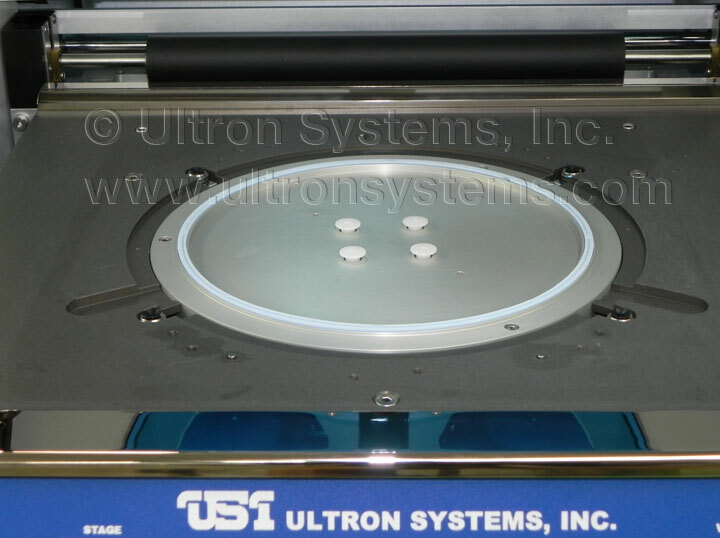 - Film Frame Adapter Ring: 8" <=> 6"
- Film Frame Adapter Ring: 12" <=> 8"
Based on the highly successful Model UH114 Series Wafer/Frame Film Applicators, the Model UH115 represents the next level of bubble-free film lamination to all sizes of wafers and types of film frames. 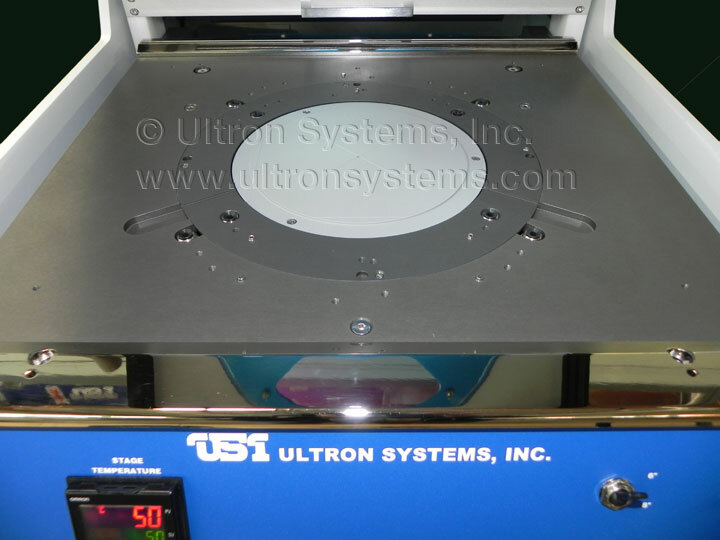 The Model UH115 Series Mounters feature a semiautomatic one-pass lamination which provides an extra margin of safety when mounting particularly fragile wafers/substrates. 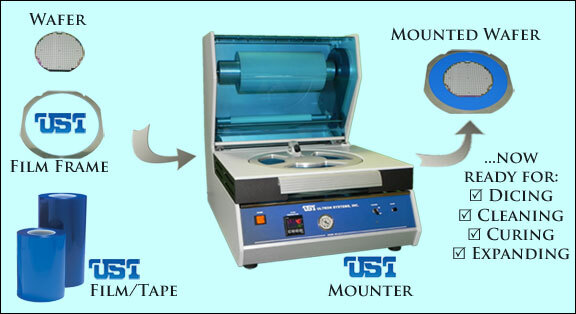 Most manual mounters laminate the film in two passes, i.e., one pass as the film is laminated to the film frame and wafer/substrate, and a second relaminating pass as the roller returns to its home position. 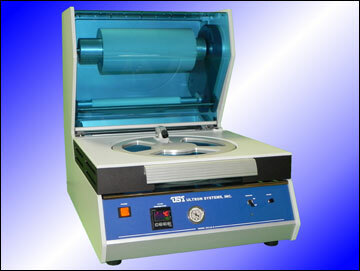 The Model UH115 Series, however, laminates on the first pass only; the second pass is contact-free. Additionally, the film unwinds along a new roller path so that "crease lines" -- which are common to most film mounters and occur at the point the unwound film meets the film roll -- are eliminated from the lamination area. Adjustable circle cutting pressure accommodates adhesive plastic film of various thicknesses.